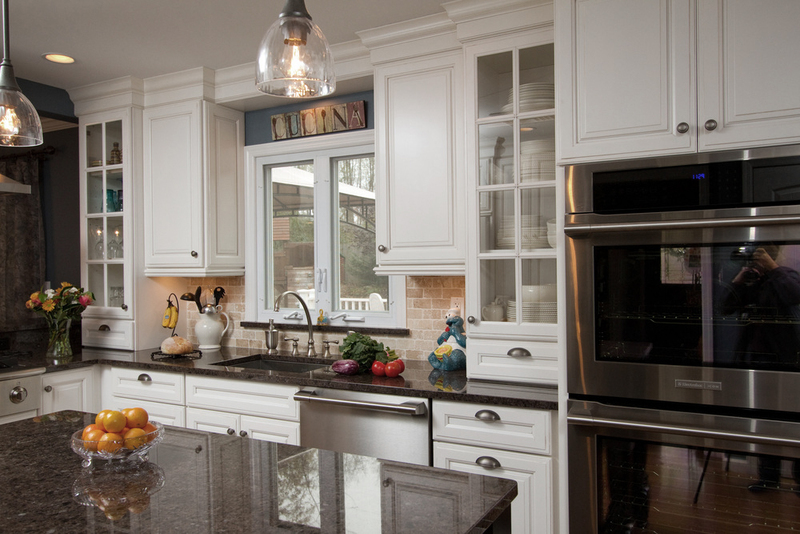 This kitchen, while containing elements of a transitional style, maintains a clean and classic feel. 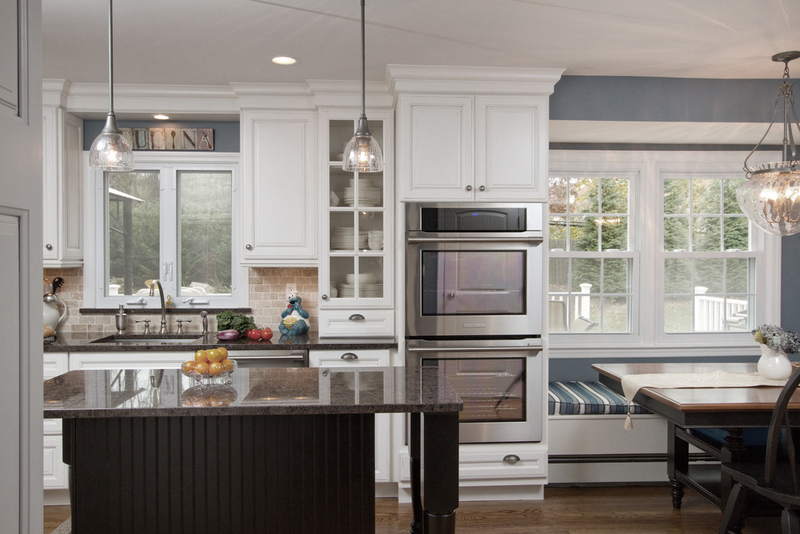 The raised panel door style, stove, and windows all follow a square-within-a-square concept, emphasizing structured shape throughout the space. 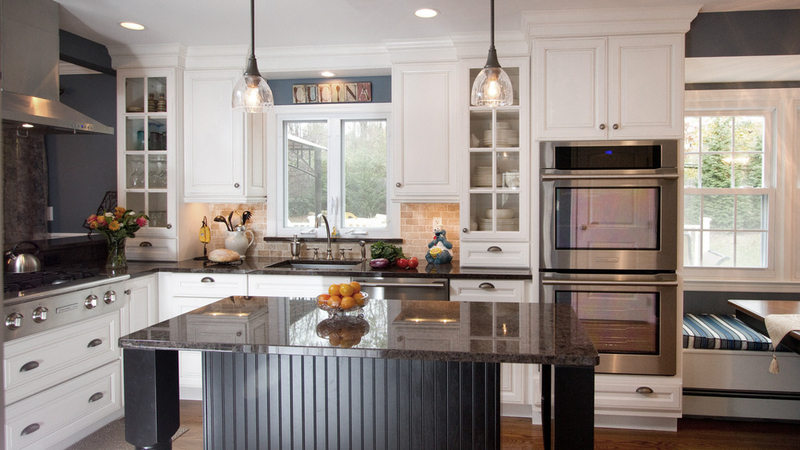 The translucent lighting fixtures and glass cabinetry emphasize a transparent clean look, complimented by stainless steel appliances and a Labrador Antique countertop. 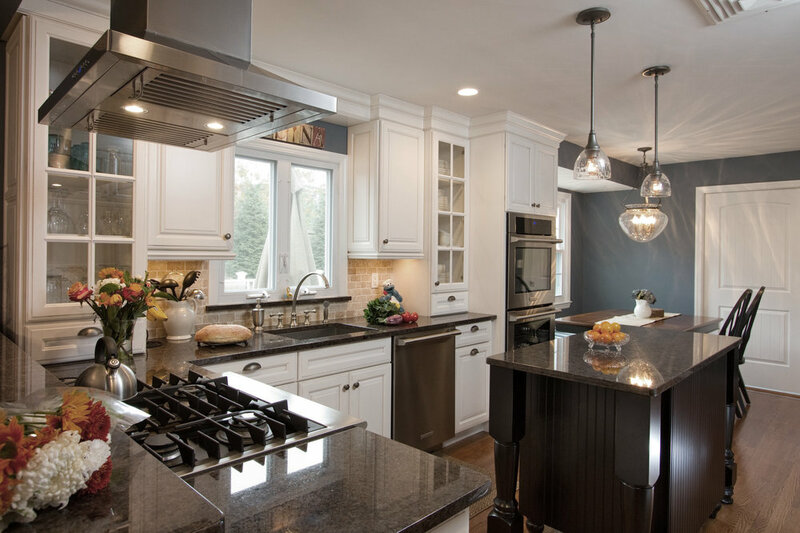 The room maintains elements of it's classic, rustic feel through it's traditional wood flooring and island, making this kitchen a lovely balance between the old and the new.